In 1485, the English crown was won in the battle of Bosworth Field, ending the Wars of the Roses which had ravaged the whole of England during the 15th century. The Tudors had gained the throne but their hold on power would always be precarious. As long as the Yorkist faction remained, Henry VII and Henry VIII would never be safe. The Tudor dynasty was anything but a period of security and the spectre of the White Rose haunted their reigns. In The Last White Rose, highly acclaimed historian Desmond Seward, explores the world of plots, conspiracies and pretenders that threatened the crown and affected the course of English history. The narrative include the rise and desperate fall of Perkin Warback, the first White Rose pretender, Edmund de la Pole, recognised by the French as the true King of England, his younger brother, Richard, a mercenary who was funded by Paris to invade England on two occasions as well as a host of descendents including the Dukes and Earls of Buckingham, Exeter, Montague, Surrey and Norfolk.
" …lively and readable new study…Seward, an accomplished popular historian with a strong track record in the later medieval period quite rightly wants to remind us that it was no foregone conclusion that the sixteenth century would be that of the Tudors…The Last White Rose is an entertaining and valuable exploration of a subject too often marginalized in histories of the early Tudor period." 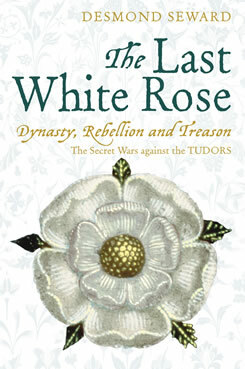 "The Last White Rose is history as it should be written: without hindsight or embellishment, but with erudition and a sense of immediacy that makes it a gripping and original read." "A vivid and compelling account of a neglected aspect of Tudor history." "Gripping and enthralling . 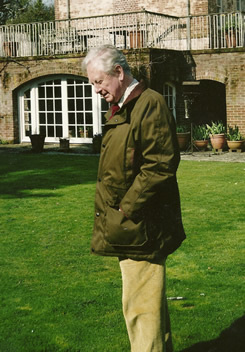 . . no writer of fiction, however imaginative, could dream up more spell binding plots than what actually happened, so skilfully recounted here." "This powerful and impassioned book." "This is a well-written book that brings life to a complex era when war, religion and dynastic politics created a tortured web of intrigue, which any reader will appreciate." "Seward shines a revealing light across the landscape of Tudor politics." "A thoroughly enjoyable addition to and Tudor library." "British historian Seward’s long-awaited sequel to his critically acclaimed 1995 history of late medieval England, The Wars of the Roses and the Lives of Five Men and Women in the Fifteenth Century, is an intriguing addition to the growing body of revisionist Tudor history.... Seward delivers a scholarly yet engaging account of an era that continues to fascinate "
"A fresh look at a well-worn field of study, appropriate for general readers. " "In command of sources, Seward ably meets the unflagging popular interest in the Tudors. "